On Wednesday of this week, I had the pleasure of spending an entire afternoon with friends making the 20 beautiful cards with the Stampin' Up! Oh Happy Day Card Kit. The colors and embellishments in this kit are over the top and you get everything you need to create 20 cards that you'll be thrilled to give to family and friends. The only extra you'll need is your choice of adhesive and our Liquid Multipurpose Glue will fit the bill. Want a way to spend a fun afternoon with friends?...Oh Happy Day! Need to replenish your stash of cards that you keep on hand?...Oh Happy Day! Want to spend some fun,quality time with your daughter/granddaughter?...Oh Happy Day! Need a gift for a crafter or DIYer in your family or circle of friends? ...Oh Happy Day! Stamp and stick—that’s all it takes to create stack of all-occasion cards. Make one card when you need it, or make them all and use them later. Folded card sizes: 4" x 3-1/2", 3" x 3", 5" x 3-1/2", 5-1/2" x 4-1/4"
Jan loves her box of cards! Yes, the box is so nice that it's perfect for storage or gift giving! Mona really enjoys Stampin' Up! kits. She is looking forward to the tag kit in the upcoming Holiday Catalog. Hope you enjoyed today's peek into the Stampin' Up! Oh Happy Day Card Kit! On Facebook? Be sure to follow me HERE and HERE! Receive free Paper Craft and Card Making project ideas and tips when you receive the Ink and Inspirations email newsletter. If you have not subscribed for my mailing list, be sure to do so you can to receive my newsletter and emails which contains project ideas exclusively for my subscribers. Also, as a member of Ink and Inspirations List, you will receive bonus video tutorials with exclusive project ideas several times a year! Thank you for subscribing to receive free paper craft and card making project ideas from Ink and Inspirations. The New Stampin' Up! Catalog is LIVE! The New Annual Stampin' Up! Catalog is LIVE! See all the products HERE! Stampin' Up! 2014 Christmas Fun- Blockhead Snowmen! Taking a break from regulary scheduled programming this 2014 Christmas week and sharing some creative fun and inspiration from some crafting friends. How about these "blockhead" snowmen from my friend and local club member, Debbie H.? She created these with Stampin' Up! products from her stash and the wood blocks from her stamps she converted to clear mount style! Aren't these adorable? This is such a clever idea and with a little acrylic paint, punched and cut pieces of card stock, and a few embellishments, these wood blocks have been upcycled into a precious holiday decor piece or gift. Thanks for checking in today for this 2014 Stampin' Up! Christmas fun project idea! Woo hoo! 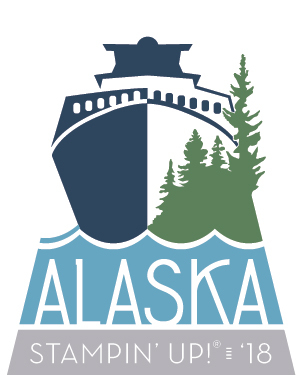 With special thank yous to my awesome customers and super fantastic team, my husband and I will be sent on another Getaway this year, courtesy of Stampin' Up! Yes! We will be visiting Washington D.C. in late September AND my friend, Beverlee and her husband from California, will also be there! I will also be able to meet a member of my ink and inspirations Team who lives in D.C.! We've already been planning and look forward to meeting face to face! Rewarding acheivements and appreciation of its demonstrators are just two of the wonderful aspects of being part of the Stampin' Up! family! Have a love of the craft? I encourage you to join and become an Independent Stampin' Up! Demonstrator! Sharing some fun photos of these fabulous ladies in my local Stampin' Up! Stamp Club. Love meeting with these gals each month! Latricia admiring another club member's swap. Mother-daughter team, Sue and Rachel, enjoy stamping and crafting together! Debbie and Lisa having fun! Pretty Penny coloring her creation with a Blender Pen and Stampin' Up! Markers. Norresa and Lisa paused for a picture. If you live in the Beaumont/MidCounty area of SE Texas and would like to join our group, please email me. There are a few openings in our Stampin' Up! stamp club and we'd love to have you! My first experience at Stampin' Up! Leadership Conference was amazing and one I'll always remember. There was so much energy from hundreds and hundreds of demonstrators, all who love sharing the joy of Stampin' Up! The Stampin' Up! staff and corporate team truly made this a great event to inspire and motivate all in attendance. From the classes to the General Sessions along with product demonstrations and of course, the fabulous prizes and gifts; Stampin' Up! Leadership 2014 was top notch. Beverlee and I with our Leadership Bags. On the first morning, we received our new Leadership bags...beautiful and shiny in Smoky Slate. We loved them! Beverlee is awesome. With 19 years of experience as a Stampin' Up! demonstrator, she graciously offered advice and encouragement. I treasured our time together. Here we are having some silly fun! Beautiful, inside and out, Shelli gave an emotional and heartfelt welcome. It was her first big event with demonstrators since her terrible riding accident in August. Huge announcement of a new product launch...Blendabilities! Blendabilities = Alcohol Based Markers in Stampin' Up! Colors!!! These will be great for water coloring...much like Copics. Pictured above are the colors that will be released when launched. That should be some time early this year. I will let you know as soon as they are released! Of course, we will continue to carry our water based Stampin' Write Markers. Here is one of our all-attendee give-away gifts! The Happenings Simply Created Card Kit from the Occasions Mini Catalog! What's best of all about Stampin' Up! and its events are the friendships and relationships. Here we are with Samantha and Liz...sending hugs, you guys! We had a great time with these ladies and I know the friendships formed will remain! The next two photos show the swaps I traded with other demonstrators. Thank you to all those demonstrators for sharing their talent. Two different looks using the Happy Watercolor set (wood, clear). I'm excited to share the many Stampin' Up! card ideas, DIY home decor and techniques that I learned at Leadership. Stay tuned! Can wood get any cuter? The Essentials Wooden Embellishments are tiny wood accents, ready for you to stamp, ink, spritz them! Coordinate with the Retro Fresh suite and the Hip Notes stamp set as seen below. You're hip, you're cool, you've got the 4-1-1. Prove your hipness to everyone else with the Hip Notes Set. Coordinates with Essentials Wooden Elements and the Retro Fresh Suite. The Essentials Wooden Elements are part of my Occasions Catalog Product Share HERE! then head over to Ink and Inspirations with Lisa Brown on Facebook! Find the Hip Notes stamp set and Essentials Wooden Embellishments in the Stampin' Up! Online Store. Stampin' Up! Demonstrator Life at Home: Making Many Cards! The main focus since New Years Day has been to make many card swaps to trade with other demonstrators at the Stampin' Up! Leadership Conference next week. Tap the ink pad not the phone! So today, these little jewels will be finished and the packing will start for my trip. I am so excited! I'll be rooming and hanging out with my new demonstrator friend that I met on the Stampin' Up! Incentive Trip in San Diego this past September, Beverlee Morales! I'll be posting to my Ink and Inspirations with Lisa Brown Facebook page while I'm there so be sure to head on over and "LIKE" my page so you don't miss out on a thing! Here on the blog, you will continue to see some fabulous new products from the Stampin' Up! Occasions Catalog and I'll be sharing the swaps that you are getting a peek of here! Remember to join Ink and Inspirations with Lisa Brown on Facebook to see some fun from the Stampin' Up! Demonstrator Leadership Conference! Stampin' Up! Demonstrator-Fun in San Diego! New Stampin' Up! Weekly Deals on New Year's Eve! New Stampin' Up! Occasions Catalog! The Getaway to San Diego for achieving Stampin' Up! demonstrators was so much fun! Thanks to all of you who support me in my Stampin' Up! business and my ink and inspirations Team, I was able to earn this trip and share it with my husband. Stampin' Up! reserved us rooms at the beautful US Grant Hotel! We had a delicious woodfired pizza at Sammy's! My favorite meal of the weekend was breakfast at Cafe 21! Look at this delicious omelet and fresh fruit! Beautiful architecture everywhere...this is the Museum of Man in Balboa Park. We attended Mass at the beautiful St. Joseph's Cathedral. Here we are on a trolley to Old Town San Diego with other Stampin' Up! Demonstrators and their guests. Speaking of other demonstrators...I loved meeting so many of them! Here I am with one of my new demonstrator friends...Beverlee! We had so much fun hanging out with Beverlee and her husband, Kenn! 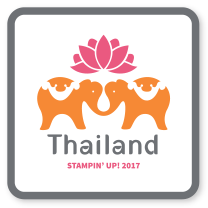 We're looking forward to spending time together at Stampin' Up! Leadership in January. 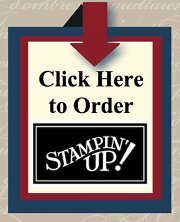 Interested in learning more about becoming a Stampin' Up! Demonstrator, being your own boss, setting your own hours, and having fun sharing what you love? E-mail me if you'd like to find out more about it! I'll be back tomorrow sharing a little more of our Stampin' Up! fun in San Diego! Stampin' Up! San Diego Getaway! Stampin' Up! San Diego, here we come! As part of the Stampin' Up! family as a demonstrator, I have the opportunity to work toward goals and achieve awards from this fine company. 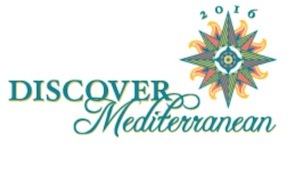 One of these awards includes an incentive trip to a fun destination for myself and a guest! I am thrilled and grateful to be able to tell you that "the hubs" and I are on our way to San Diego for a getaway weekend with many other Stampin' Up! Demonstrators! Because of your support, I was able to achieve this goal, earn this trip, and share it with my biggest fan! Thank you, thank you for allowing me to share with you and serve you as your demonstrator! I'll try to post photos and updates to my Facebook page so be sure to follow me there! Hope to be able to share with you from Stampin' Up! San Diego! With today being National Tell A Joke Day, I thought I'd share one I found that made me chuckle. Announcing the First ink and inspirations Mystery Hostess Event! 6 stampers to commit to purchasing a minimum of $50 in product (BEFORE shipping and tax) in my Online Store by Wednesday, April 24, 2013. You must email me before placing your order to let me know that you'd like to participate. I will send you the special HOSTESS CODE THAT YOU MUST ENTER when placing your order in my Online Store. Once the orders are placed, I will randomly choose one stamper to receive all the hostess benefits! Email me by Monday, April 22nd with the words MYSTERY HOSTESS in the subject line and I will reply with the Hostess Code and the link to my Online Store. You must use this code to be eligible for the hostess rewards! This will be fun! If we have more than 6 interested, I'll start another group! You may place an order anytime but you must have the hostess code from me for it to count! If your order is a total of $150 or more before tax and shipping, you can place your own order online and receive hostess rewards on your order! E-mail me to let me know if you'd like to participate! And, now I have another take on yesterday's card and video tutorial! In comparison to the card seen here, you'll see that I used Baker's Twine instead of a designer paper strip and cut the stamped image with a Labels Framelit instead of a punch. The sentiment is from the welcome kit for My Paper Pumpkin. Remember to e-mail me if you'd like to participate in the Mystery Hostess Event! I'll email you the Hostess Code and then you can place your order! DIY St. Patrick's Day cards are easy using the Stampin' Up! Small Heart Punch (117193)! Just arrange into a shamrock shape, cut a thin slice of green for the stem and you have the central element of your hand-made card ready to go! The "lucky" definition stamp is from the retired Define Your Life but you can still print these definitions on your home computer with the digital stamp download and MDS2! 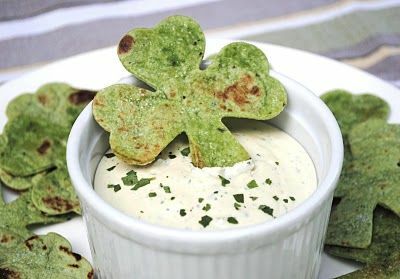 And,here are some fun diy ideas I found for the "wearing of the green" day, St. Patrick's Day!